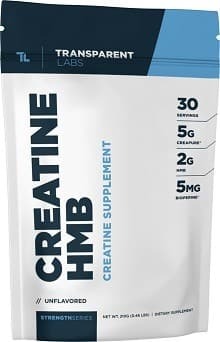 Creatine HMB is the new go-to creatine supplement made by Transparent Labs. Rather than just supplying a few grams of standard creatine monohydrate, artificial sweeteners, and some food dyes; the TL team took a whole different approach. Creatine HMB was made simply, purely, and professionally. In every tub of Creatine HMB there are 3 things, and 3 things only. Authentic 100% Creatine creatine monohydrate, HMB, and a scooper… That’s it! No artificial this or that which hampers natural hormone function, just a whole bunch of gains. It’s undeniable, when we have the choice – Creatine HMB is the creatine supplement that we choose. But, why? Well, here is the best explanation. As a whole, the creatine market can be shady. There are several issues that range from creatine being degraded to creatinine to heavy metal contamination and artificial additives. Sounds nasty, right? But it’s how it is, unless you know how to avoid it. If you already take creatine, or if you have been doing any significant research, then you’ve probably come across the name Creapure. Creapure is the patented name for the purest creatine known to man, made by AlzChem in Germany. There are a few good brands that know to use Creapure in their formulations, but far too many opt for cheaper alternatives that sacrifice quality. This alone, greatly limits our options for getting a high quality creatine supplement. Essentially, we went from say 400 choices down to less than 40. But, there are more refinements to make. 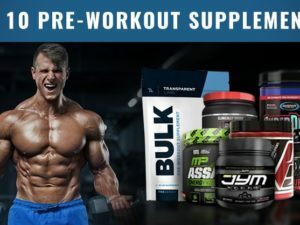 Of this remaining group of creatine brands that are smart enough to use Creapure creatine, far too many make the mistake of adding harmful dyes and sweeteners to their product. This is especially prevalent in the United States where regulation of dyes and sweeteners is weak. This happens, because experience sells. Drinking something that tastes good is more memorable than its later effects. Take fast food for example, far too many people remember the ‘great taste’ versus their upset stomachs and weight gain later. Well, many supplement companies have taken advantage of this. More so, it’s often the peoples fault for asking for great tasting supplements not realizing the tradeoff that takes place… It’s a shame. So what’s that mean? Well, we’ve now eliminated our creatine choices significantly. Now, there is Creatine HMB and there are pure Creapure supplements. Of these two options, we choose Creatine HMB as you can see on our best creatine supplements list. Why do we choose this? 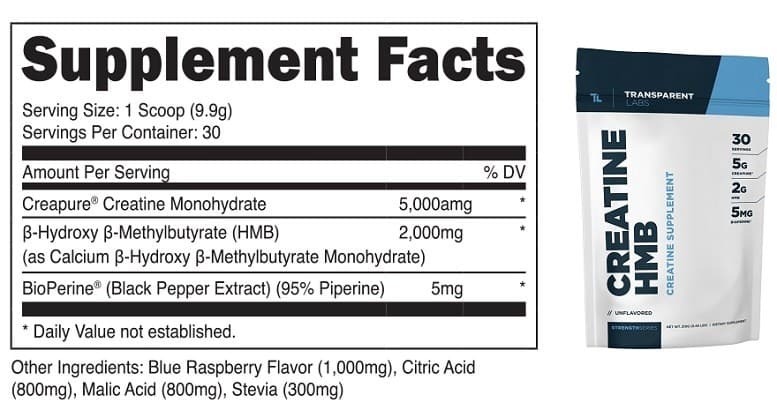 We choose Creatine HMB because the purity is there, the serving count is solid, and there aren’t any artificial this or that. It’s simply pure Creapure creatine (5 g) and HMB (1.5 g). That’s it! And let me tell you, a little HMB can go a long way. If you are unfamiliar with HMB, it is a metabolite of leucine. This metabolite, has been found to be immensely more active in maintaining muscle mass by preventing degradation. 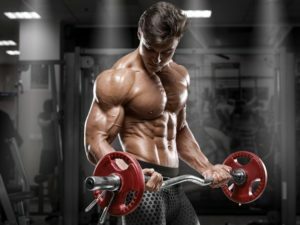 This in turn is a major asset to lean gains considering you will be losing a whole lot less muscle between workouts even if you aren’t eating 100% awesome. This combo, Creapure and HMB is such a simple thing, yet so effective! And this is exactly why we love this supplement. It just makes sense. This is a super-pure unflavored supplement, and with that will come a neutral to slightly tangy taste. This doesn’t bother us one bit, but we have found a couple different ways to spice it up and aid absorption. Adding Creatine HMB to natural grape juice or orange juice makes the taste awesome all-the-while improving uptake by signaling an insulin spike. This is the most historically popular way to take creatine monohydrate as a whole, and it works well. If you have a history of creatine being sensitive on your stomach, this is often the fix. Adding creatine to warm water (with plenty of water) allows for better dissolution. This in turn allows your body to uptake the creatine better versus lagging in your gut. This doesn’t happen to all guys though, but your one of them then you know it. To really maximize your creatine uptake, as recommended by Creapure’s manufacturer AlzChem – take your creatine in the absence of caffeine. This simply means, don’t take Creatine alongside coffee or pre workout. The dehydrating effect of caffeine really hampers the uptake of the water loving creatine molecule. What we prefer, is to take Creatine HMB post workout or with a solid meal. We’ve had a long history of gains going by this protocol.